God desires to feed his hungry people, his children, widows and homeless. I saw a man catch a shark on the news and he cooked it and fed the homeless, I thought wow how easy it is to feed people if just one person cares enough to do something. God showed me a lunch bag with a sandwich, apple or some fruit like an orange or bananna etc, small bag of chips and a juice box. this may seem small but to a hungry person its huge. A sad fact is many people go to bed hungry and its not headline news. To the world the hungry are not a priority, we never hear about the poor homeless person under a bridge that went to bed hungry last night or the child with parents too poor to feed all their children every night. 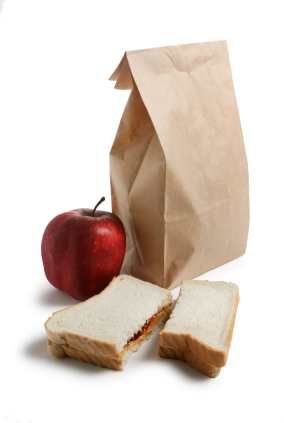 Gods Lunch Bags may not be a hot lunch, or a big lunch, but they are fresh, wholesome and free to anyone that is hungry, this program is new and in its infancy but with Gods help it will feed Gods hungry. As this ministry grows and feeds Gods hungry I will post updates on how many bagged lunches were given away and where and when. Because of laws etc I will find out what it takes to give food away and once I do that I will start giving out Gods Lunch Bags, I look forward to doing this and with Gods help It will happen soon, if you have any knowledge of the laws etc in giving away free food please write me and let me know, or if you have any suggestions etc thank you and may God bless you. Please write to: Gods Lunch Bags, 1450 N Mollison Ave., El Cajon, CA 92021 or email me at onlyjesusrules@yahoo.com this email link doesnt work so please copy it thank you.